Speaker Success Podcast is a collaboration between Women Speakers Association and the Ambitious Entrepreneur Podcast Network. A bi-monthly podcast, which features inspiring women with a bold vision who are sharing their powerful insights to help other business women use speaking to build a thriving business. Women Speakers Association (WSA) is THE go-to place for innovative leaders, change-agents and women with a message to connect, collaborate and grow their visibility worldwide in order to fulfill their mission. As the first-ever global community for women speakers, with a reach in over 120 countries on 6 of the 7 continents, WSA provides a platform for women to support, mastermind and mentor one another in the call to empower the voice of the 21st Century Woman. Annemarie Cross is a Brand & Communications Strategist who has helps clients design and launch powerful online and offline marketing strategies. 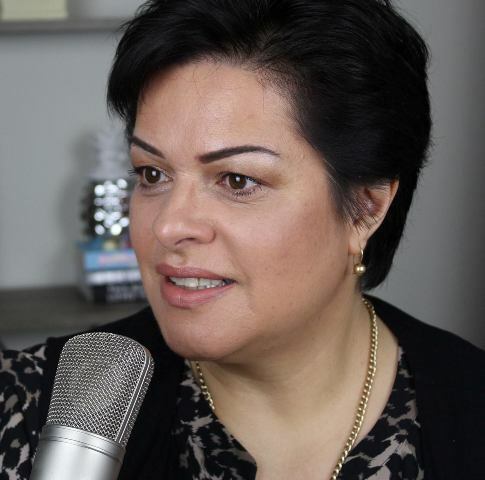 Dubbed ‘The Podcasting Queen’ by her clients and guests – Annemarie is an expert in the production of podcasts, and is sought after as an adviser and consultant in developing and implementing podcast series for individual industry influencers, experts and companies. She has been instrumental in the launch of some of Australia’s most interesting and engaging podcast series, and now the Speaker Success Podcast on behalf of Women Speakers Association. Create a Powerful Online Profile that has Meeting Planners Begging to Book You!